Defence company Australian Aerospace has handed over the last of 22 Tiger armed reconnaissance helicopters (ARH) to the Australian Defence Force (ADF). In a formal ceremony at the company's facility in Brisbane, chief executive Dr Jens Goennemann said it was a great day for Australian Army Aviation, the ADF and Australian Aerospace. He said it also marked another important milestone in the ARH program. "The Tiger ARH has been a complex and demanding program and one not without its fair share of challenges," he said in a statement on Thursday. "But extensive collaboration and a cooperative approach by Australian Aerospace, our industry partners and the various ADF branches involved has been a significant contributor to where we proudly stand today." The Tiger helicopters were ordered in 2001 in a $2 billion deal to replace Vietnam War-era Iroquois and Kiowa helicopters. The first four were manufactured in France and the rest assembled in Brisbane by Australian Aerospace, a subsidiary of Eurocopter. The project encountered a series of technical problems and delays and was at one stage on the government's projects of concern list. 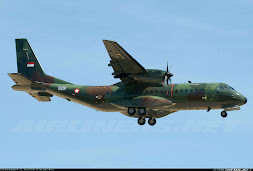 Australian Tigers are set to be declared fully ready for operational service next year, however, French Tigers have been flying operationally in Afghanistan for the last two years. Thursday's handover ceremony was attended by representatives of the Commonwealth, aviation and aerospace companies, the Australian Defence Force plus senior management of Australian Aerospace and its parent Eurocopter. Dr Goennemann said delivery of final Tiger ARH022 did not signify an end to Australian Aerospace's Tiger relationship with the ADF. "Australian Aerospace will continue to work with Army to support, maintain and bring this important new platform to maturity within the ADF," he said. Tiger represents a very significant increase in capability for the ADF. 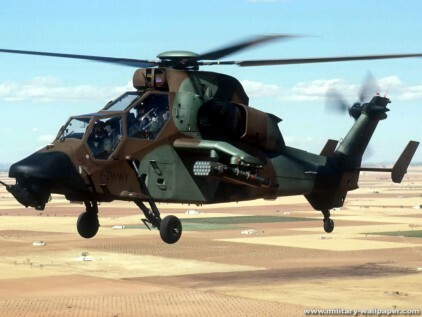 Australian Aerospace says it's the world's most advanced armed reconnaissance helicopter, featuring advanced technology which makes it faster and more agile than competitors, such as the US Apache. 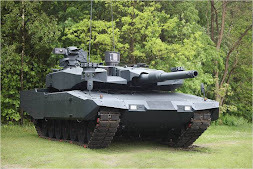 Tiger carries a crew of two - pilot and gunner - and is equipped with an advanced day and night surveillance system, a 30-mm cannon, 70mm freeflight rockets and, unlike French Tigers, the US Hellfire air-to-ground missile.